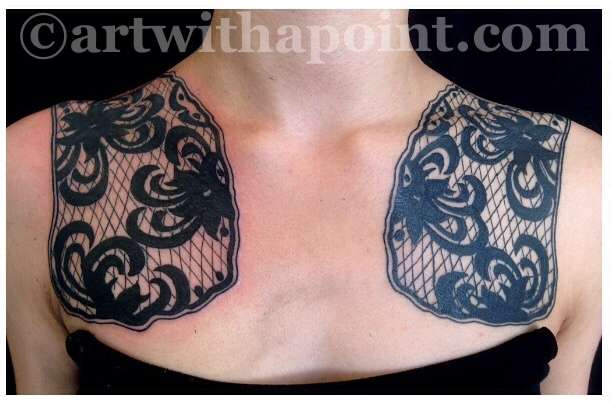 Howz about some texture tattooing? Textiles offer all kinds of fabulous ideas, like these lace panels. I’ve also tattooed a traditional tartan (yes, a plaid tattoo!) and a “knitted” Celtic knot. Anything can be your next tattoo!